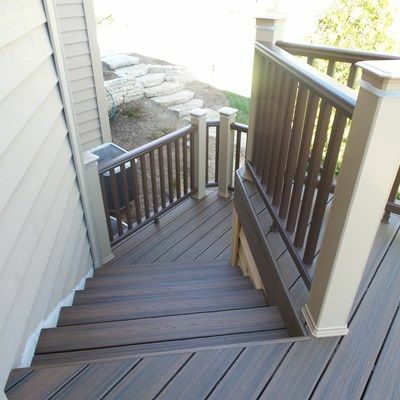 This was a deck built last year with Trex Transcend decking and trim (spiced rum). 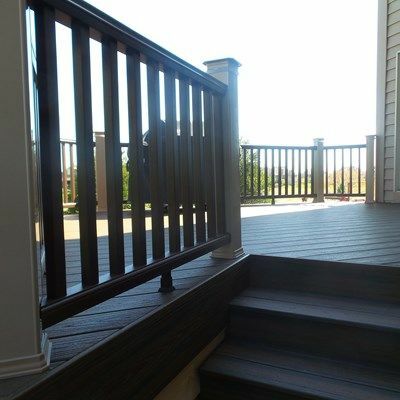 The railing was TimberTech Radiance post sleeves (sandridge) with Trex Transcend railing (vintage lantern) Each post contains a post light module. 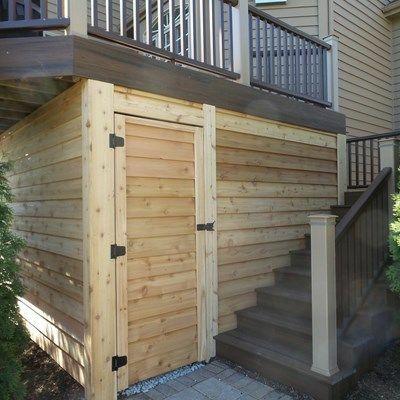 The bottom of the deck was finished with cedar siding to match the house which included an access gate. 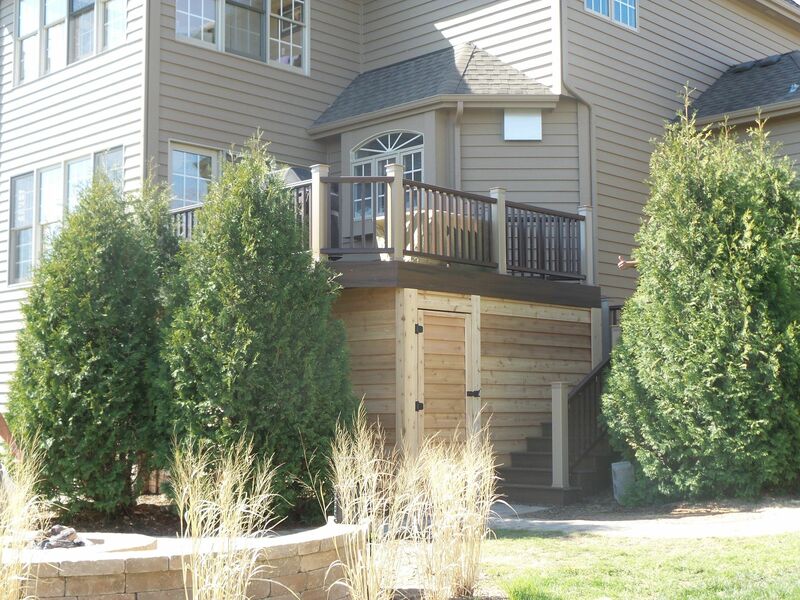 The cedar was eventually stained to match the house.